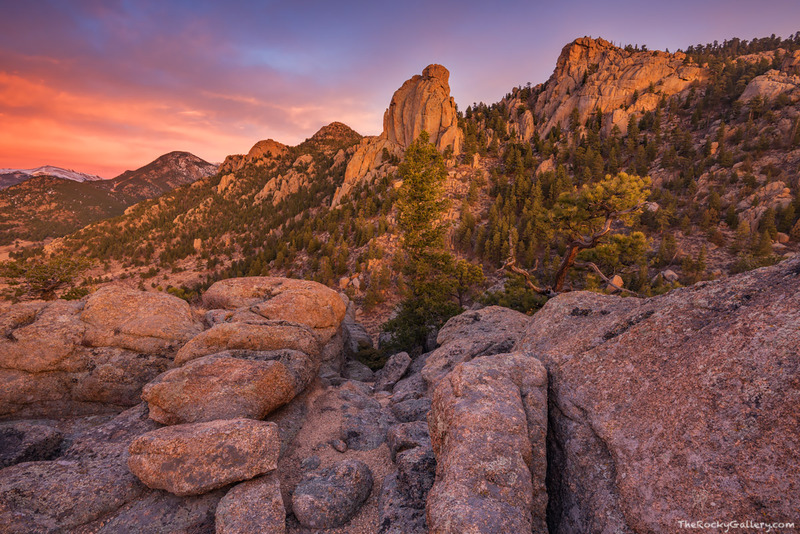 Lumpy Ridge has some of Rocky Mountain National Park most interesting rock formations. Rock climbers descend on these rock faces in droves and its close proximity to downtown Estes Park makes it a famillar backdrop to visitors. One of the most well known formations on Lumpy Ridge is the Twin Owls. These two formations tower over the town of Estes Park and catch some of the most beautiful light in the Estes Valley at sunrise. Photo © copyright by Thomas Mangan.